Vermont, which is an extraordinarily liberal state with at least one openly socialist senator, was at one time regarded as America’s frontrunner for single-payer healthcare. But that frontrunner status just changed. Single-payer, a disastrous idea on dozens of different levels, means that everyone pays for everyone else’s healthcare, and Vermont has just discovered one of the reasons that single-payer is, in fact, disastrous: taxes must rise. Advocates of a “Medicare for all” approach were largely sidelined during the national Obamacare debate. The health law left a private insurance system in place and didn’t even include a weaker “public option” government plan to run alongside more traditional commercial ones. So single-payer advocates looked instead to make a breakthrough in the states. Bills have been introduced from Hawaii to New York; former Medicare chief Don Berwick made it a key plank of his unsuccessful primary race for Massachusetts governor. 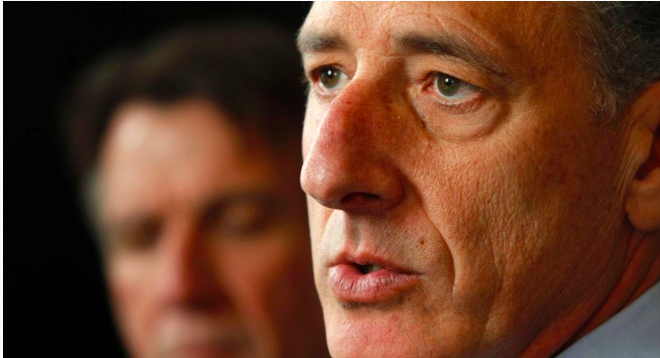 Vermont under Shumlin became the most visible trailblazer. Until Wednesday, when the governor admitted what critics had said all along: He couldn’t pay for it. Vermont’s outcome is a “small speed bump,” said New York Assembly member Richard Gottfried, who’s been pushing single-payer bills for more than 20 years. But opponents says it’s the end of the road. “If cobalt blue Vermont couldn’t find a way to make single-payer happen, then it’s very unlikely that any other state will,” said Jack Mozloom, spokesman for the National Federation of Independent Business. “There will never be a good time for a massive tax increase on employers and consumers in Vermont, so they should abandon that silly idea now and get serious,” Mozloom added. Might hurt the economy, Governor? I think you can bet your health on it.